Choosing the best Pomeranian shampoo means asking the right questions and waiting for the replies. It also varies according to whether your Pomeranian is a loved pet or a show dog. It’s vital that you do research prior to choosing the products that are suitable for the skin and hair of your dog. 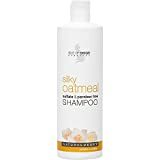 Purchasing and using best shampoo for Pomeranians is worth every penny because it will save on visits to the vet because of poor skin or coat problems. Your Pom dog will lead a healthier, longer life as a result. Your ideal Pomeranian shampoo would be natural as the products that are used to make it. 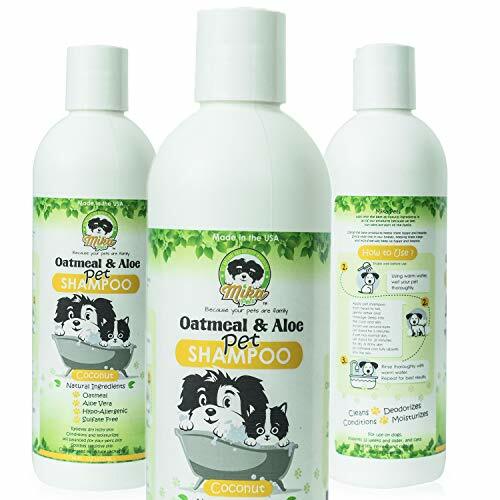 Best dog shampoo for Pomeranians ingredients, are organic, free of growth hormones, fertilisers and pesticides. 1 How Often Should I Wash My Pomeranian ? 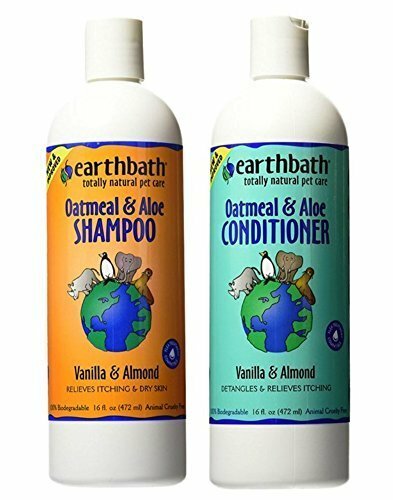 3 Can You Use Human Shampoo On Dogs? 4 What Happens When Using A Cheap Or Human Shampoo On Your Pomeranian? 5 What’s The Best Shampoo For Pomeranians? How Often Should I Wash My Pomeranian ? It’s amazing how many toxic, harmful ingredients are contained in some shampoos, etc. 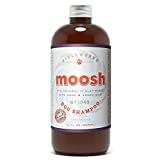 If you’re using a good quality shampoo, it’s highly recommended that you wash your dog at a minimum of two-weekly intervals and even weekly, if you prefer. 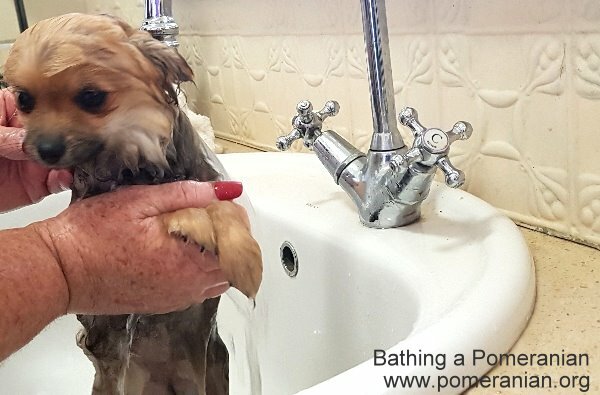 Despite popular belief, regular bathing is very good for your Pom’s coat and skin, as long as you’re using a best shampoo for Pomeranian and not using one of the cheap dog shampoos that are unhealthy and are full of toxins. 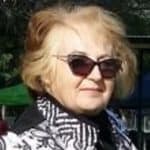 Regular bathing and feeding your Pom healthy food will almost guarantee that your Pomeranian should live a long, healthy life without facing coat and skin problems. 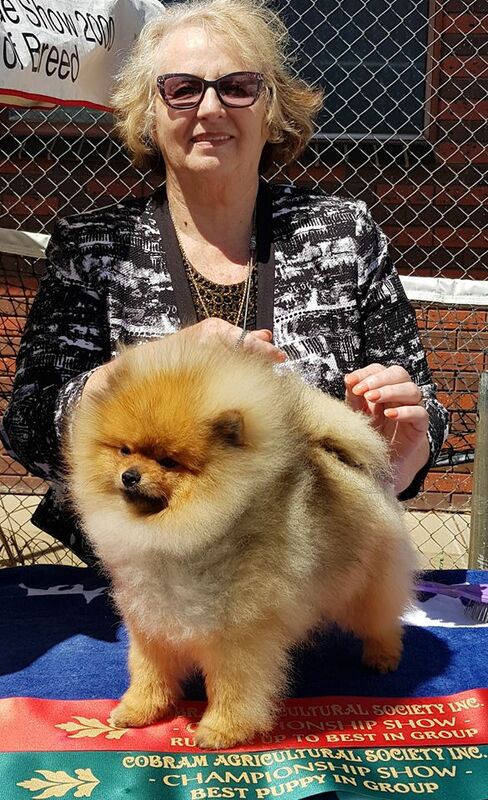 If your dog is a show-Pom, during the show weekends you may choose other products and this is ok as long as all products are fully washed out after the shows are finished. Vaccinations and food play a vital role in skin and health issues that Pomeranians commonly face. The majority of skin products, (including many rinses and shampoos for your pets) contain various toxic ingredients and may be cancerous for your dog. The Pomeranian shampoo you choose to wash your dog with will determine just how healthy his coat will be. Some products will do a great job and leave a glossy finish; others will cause the skin to dry out and potentially cause your Pomeranian to succumb to skin infections. You would use a number of products to groom your Pom’s coat. These may include: shampoo, a deep conditioner, a conditioning spritz and a leave-in conditioner. It’s unwise to choose products that aren’t ideal for Pomeranian dog care. Otherwise, you’ll damage the protective layer that surrounds the shafts of hair, leaving fur exposed. This can make the coat dry out, causing more problems as time goes by. If money is tight, you may use human shampoo for bathing Pomeranians because you think it’s merely hair. While humans and Pomeranians both have hair, each has their own distinct category. Human hair is ok to wash with human shampoo but not dog hair. The pH balance in the majority of human hair products won’t work for canines, including cheaper products. What Happens When Using A Cheap Or Human Shampoo On Your Pomeranian? The shampoo will act as an abrasive on the coat and skin of your Pom. It’s also missing essential ingredients needed to replace nutrients that get washed away. An ideal shampoo for Pomeranians needs to contain healthy ingredients. For example, aloe, oatmeal and other products can combine to moisturise and nourish your Pom’s coat. Low quality products may have ingredients that could harm your dog. These include: parabens and phosphates which make the skin dry and can cause allergic reactions. The pH range in shampoo for people is usually 4.5 – 5.5 so it’s ideal for use on human hair. As for Pomeranians, they need a pH that’s closer to a neutral number than to one that’s acidic. 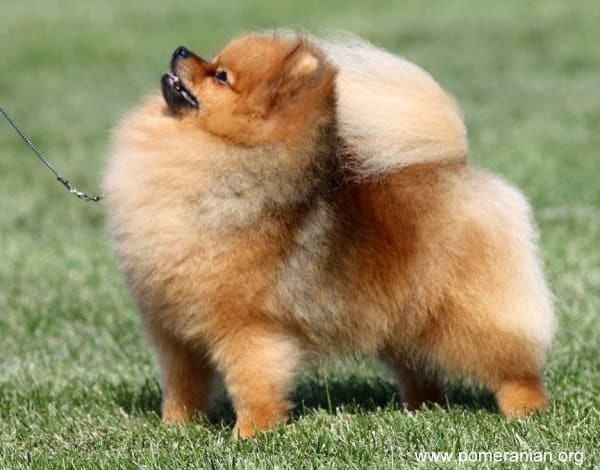 If your Pom’s coat becomes damaged, the fur is more exposed to harsh elements. These include the sun and wind, thereby causing numerous split ends. These develop along the shaft’s length so the fur has a frizzy loo. What’s The Best Shampoo For Pomeranians? The best shampoo for bathing Pomeranians will work properly without causing any harm to your Pom’s coat. Ideally, it can softly eliminate all dirt and other debris on your dog’s fur and skin. 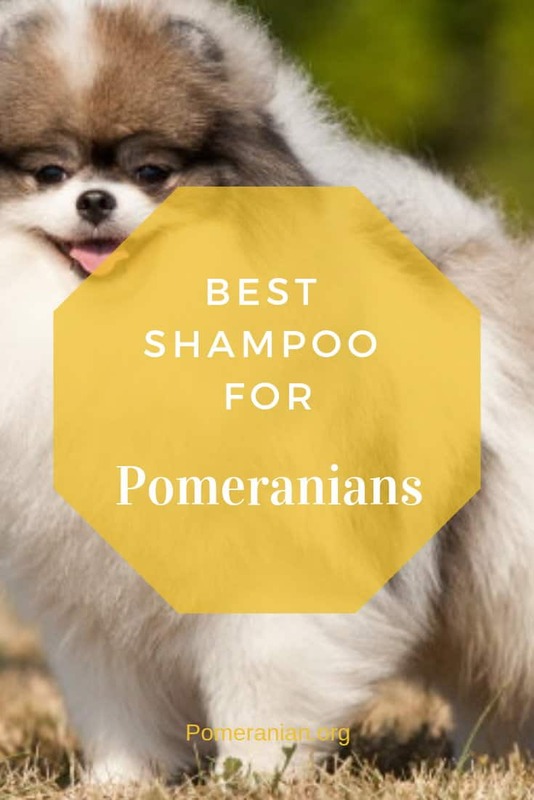 While it’s doing the job of cleaning, the Pomeranian shampoo should also moisturise the skin and coat as it supplies the replacement nutrients. The moisture should be absorbed into the dog’s hair. The moisturizing agents must remain light so it doesn’t flatten the hair and not clog the pores. The best dog shampoo for Pomeranians also prepares the coat for extra products to be applied (e.g. conditioner). Because of this, you should easily be able to wash it off and not have any sort of residue left behind. 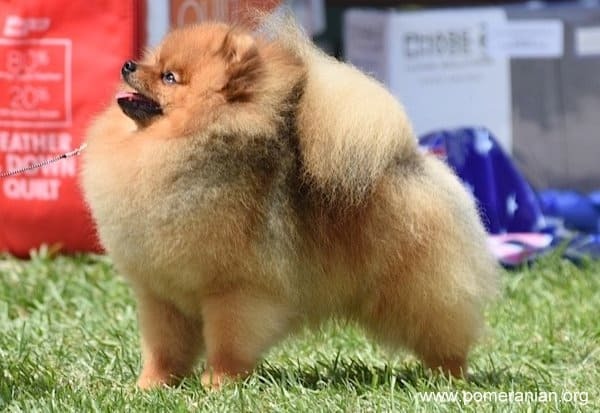 Always read labels before buying anything and avoid ingredients that dry out your Pom’s coat or skin. You should also see if there are allergy indicators. Shampoo isn’t the only product involved in grooming your Pomeranian. Conditioner also plays an important part in the health of your dog’s coat. If you select a low-quality conditioner, it will slide on coat hairs without entering shafts to moisturise from inside. It won’t improve the health of each strand of hair and will leave an overall dry look. Some conditioners are heavy and weigh the coat down, causing his fur to lie flat. It’s also made oily within days, undoing the work you have put into caring for your great Pomeranian. When it’s time to select a good leave-in conditioner, choose one that contains moisturising ingredients. A good quality Pomeranian conditioner should provide moisture without making the coat appear flat. A spray is useful when you’re brushing. While grooming your Pomeranian, it’s essential to use a moisturising spray to eliminate the risk of split ends. It also stops drying effects caused by friction and the sun and prevents the build-up of debris and dirt. It will also keep your Pomeranian smelling great. Use a light spray that doesn’t block your Pom’s pores because you’ll primarily use it between his baths. If the products you use are harsh or if your Pomeranian had recent allergies, he’ll likely have dry skin. This product helps replenish natural oils, thus stopping future dryness and itchiness. You’ll also see that, in time, the texture of his coat will get better. Every ingredient is natural, meaning they won’t adversely affect the health of your dog. Everybody hates a wet doggy odour. 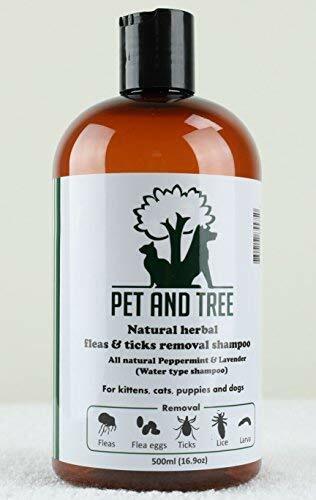 This shampoo helps your Pomeranian smell sweet and fresh for weeks after you have given him a good wash. The formula is hypoallergenic so your Pom will be free from pests. The pH is almost neutral, meaning his coat won’t have any oils and will stay healthy and vibrant. 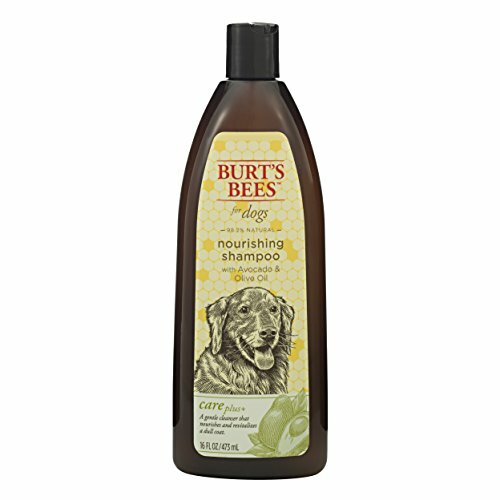 This Pomeranian shampoo soothes your dog’s sensitive skin if it has been itchy and dry. The high-quality ingredients are all natural and have a fresh smell that lingers for days after he has been washed. In fact, this shampoo is so mild that you can also use it on kittens. 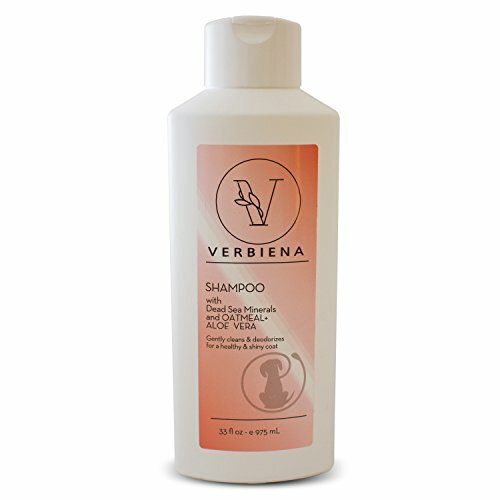 This product makes the most of proven plant-based ingredients that are gentle as they clean your Pomeranian’s coat. 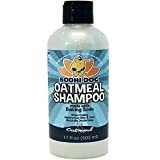 Oatmeal and aloe are two main ingredients that help make this an ideal product. It soothes itchy skin, moisturises and deodorises his fur and prevents allergic reactions. It’s so gentle that you can even use it on Pomeranian puppies. 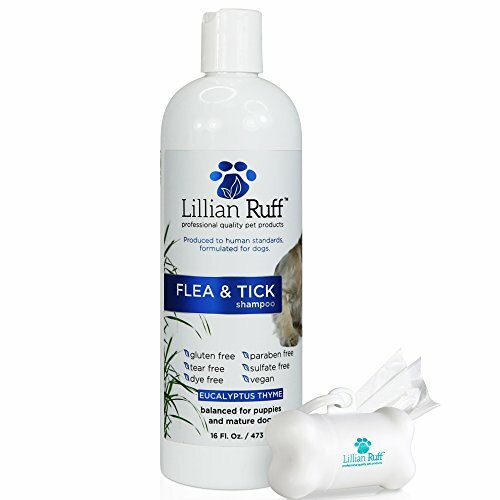 As the name suggests, this product is perfect for gently eliminating fleas, ticks and other parasites. It breaks down the life cycles of such pests so they can’t survive on your Pom’s coat any longer. It also deodorises and cleans your Pom’s skin and is safe for use on puppies and cats. This product gently removes crusty scales and dead skin along with all parasites. Due to its all-natural ingredients, it can’t affect the natural oils on your dog’s body in a negative way. There isn’t an easier way to wash your Pomeranian than by using this shampoo. Its avocado extract nourishes your dog’s coat and moisturises it to prevent the effects of aging and drying out. It also acts as a protector of the colour of your dog’s coat. If you have had trouble with your Pom’s coat, this is the product you have been waiting for. It provides volume and crispness, and gives his coat a healthy fur coat. Its shampoo’s fresh odour leaves him smelling wonderful after every wash. If you have wanted to make your Pomeranian’s hair shiny, this product is for you. A leave-in conditioner is as vital as a shampoo. 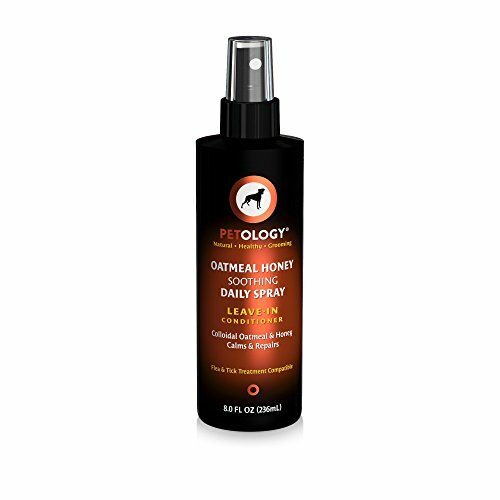 This product is great for all types of canine skin and the end result is glossy, healthy fur. He’ll smell really fresh for days after a wash and conditioning session. 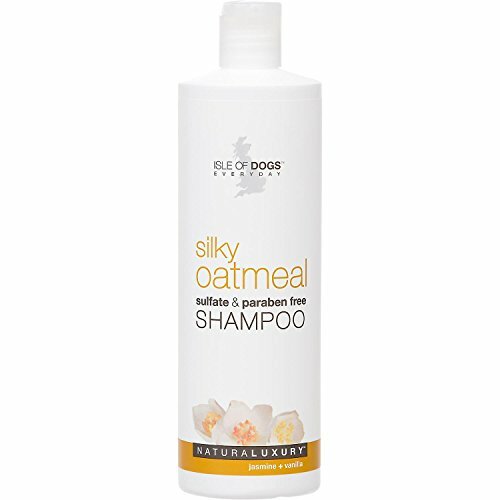 It contains all natural ingredients that ensure it’s safe enough for use on dogs, puppies and kittens. This particular leave-in conditioner is the best dog de-tangler because it helps ensure that grooming is an easy process. 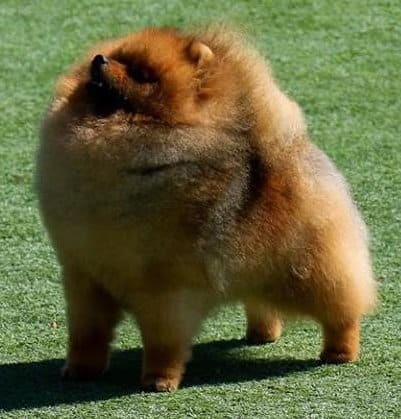 It protects your Pom’s coat from a build-up of dirt due to silicon being used. 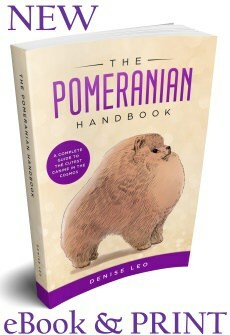 It’s also a Pomeranian hypoallergenic. Your Pomeranian’s overall health and hair growth rely on how well you look after his fur. Choose the best products available, and don’t skimp by buying cheaper versions. Follow this Pomeranian care information and you’ll have a happier, healthier, better-looking dog because all itchiness will be gone. To be natural, you might have to make Google your new best friend and use it to find good products. Carefully check shampoo labels and never settle for half natural skin care and poor quality products. Read the list of ingredients and if you see anything in the list below, put it back on the shelf as it’s no good for you or your dog. “All natural” is a word that, when applied to soaps, shampoos and most other products, is, in the mind of the manufacturers, a natural product. 1. Diazolidinyl Urea and Imidazolidinyl Urea are commonly used preservatives, second only to the parabens. They’re the number one cause of contact dermatitis. These chemicals are helpful antifungals only when mixed with other preservatives. Trade names for these chemicals are Gemall 2 and Gemall 115. The latter releases formaldehyde at just over 10 degrees and make it toxic. 2. Ethyl Paraben, Propyl, Methyl and Butyl inhibit the growth of microbes and also boost the shelf life of numerous products. Despite being toxic, these products are used in large quantities. Skin rashes and allergic reactions are possible side effects. 3. Petrolatum is a product commonly used in lipstick. It’s advertised as providing protection for the lips for a range of issues such as chapping and sunburn, etc. This is mineral oil jelly which is bad because mineral oils affect photosynthesis (causing damage from the sun. It also hinders the human body’s natural moisturizers, thereby leading to chapping and sun burn. You buy a product that causes the actual problems it tries to heal. Manufacturers love petrolatum because it’s incredibly cheap. 4. Propylene Glycol. 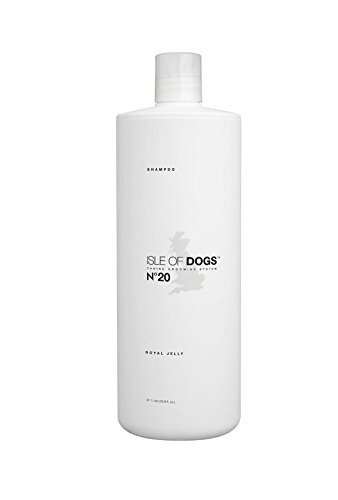 This is ideally grain alcohol combined with vegetable glycerine as both are natural products in their own right. It’s generally utilised as a petrochemical, synthetic mixture as a humectant. It can cause toxic side effects and allergies. 5. PVP/VA Copolymer. A petroleum-derived chemical used in hairsprays, wave sets and other cosmetics. It’s regarded as being toxic since particles may contribute to foreign bodies in the lungs of sensitive persons. 7. Stearalkonium Chloride. This chemical is found in creams and hair conditioners and can cause an allergic reaction. Stearalkonium chloride was created by the fabric industry as a softener for fabrics. It’s much cheaper and easier to use within the hair conditioning formulas than any herbs or proteins that do manage help hair health. 8. Synthetic Colours. Synthetic colours used in cosmetics to make ladies “pretty” must NEVER be used, as should hair dyes. They’ll be labelled as FD&C or D&C, followed by a colour and a number. Example: FD&C Red No. 6 or D&C Green No. 6. Cancer is believed to be a major side effect of using synthetic colours. If a cosmetic does contain bad ingredients, never use it. 10. Triethanolamine. This is commonly used in cosmetics when trying to adjust the pH. It’s used to change acid to salt and that ends up as a base for cleansers. Itchy rash, dizziness, headaches, vomiting, violent coughing, skin irritations and hyperpigmentation. Never buy a Pomeranian shampoo or other Pom grooming products that has the word “fragrance” on the label. Allergic reactions can include: eye problems and dry hair and skin. Chemicals in some of the inferior shampoo and conditioner products are toxic if absorbed in the long term. Summary: You MUST read all product labels. Don’t use products with synthetic colours. If you stop using synthetic fragrances, you may notice your allergy problems start to disappear. For more information on grooming your Pomeranian, brushing, brushs to use and how to care for a Pomeranian’s coat download our Pomeranian grooming booklet and Pomeranian grooming video.